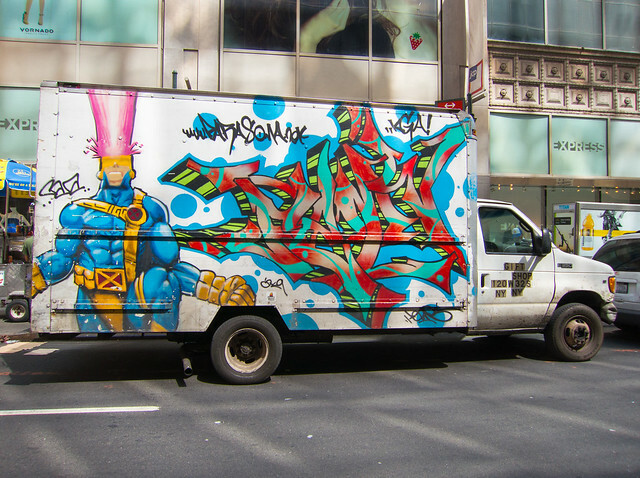 Check out this truck in New York City which is sporting comic book graffiti: decorated with Marvel's X-men mutant Cyclops. Not bad, not bad at all. Written by: Katie Shew at 2:16 p.m.